ACTION ALERT: Send a message and help protect spectacular Jurassic Grove! The licensee with logging rights to the most spectacular sections of Jurassic Grove is accepting public feedback on their logging plans. Please send a message by 5pm Monday, March 4th, asking for the remaining unprotected sections of Jurassic Grove to be added to adjacent Old Growth Management Areas. 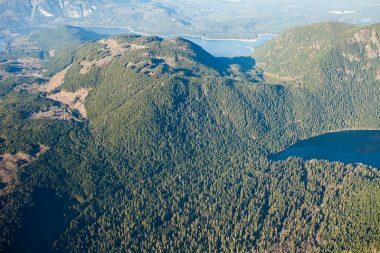 ACTION ALERT: Support Expanded Protection of the Endangered Coastal Douglas-Fir ecosystem in British Columbia! 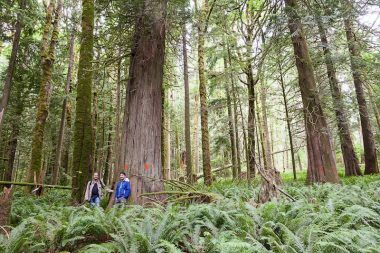 The BC government is seeking YOUR INPUT on their proposal to increase the amount of Coastal Douglas-Fir ecosystem protected on public (Crown) lands on Vancouver Island’s southeast coast and in the southern Gulf Islands. 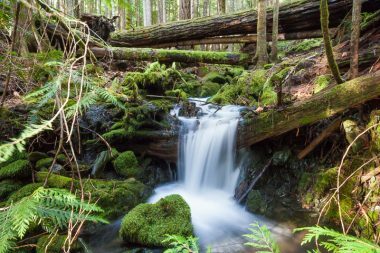 The Coastal Douglas-Fir (CDF) ecosystem is home to the highest number of species at risk in BC and, with less than four percent of the region’s ecosystems currently protected by the province, the proposed protection measures are greatly needed. But by themselves, they're not sufficient to halt the loss of biodiversity from the region. 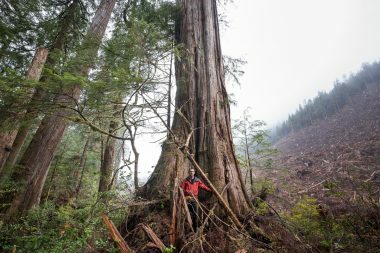 Please take just a couple minutes to WRITE to the BC government, telling them you support their proposal to expand protections in the endangered Coastal Douglas-Fir ecosystem on Vancouver Island and in the Gulf Islands! 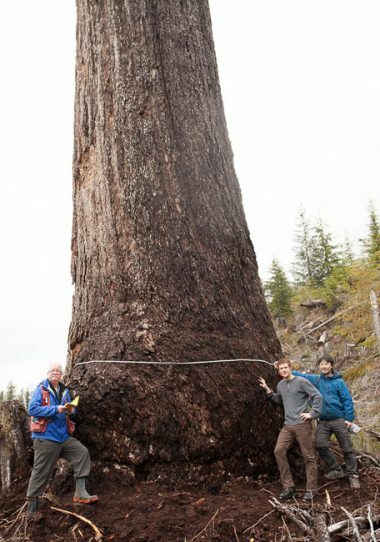 ACTION ALERT: Tell your MLA to stand up for BC’s ancient forests and forestry jobs! Your MLA may or may not be well-informed on the need to protect endangered old-growth forests and to ensure sustainable second-growth forestry jobs. When meeting them, share your concerns, outline the basic information we’ve provided, and try to convince them to take a favourable stance if they haven’t already. You should also be prepared to discuss some key issues of concern your MLA is likely to point out. Below are some topics your MLA might bring up and how you can address them. ACTION ALERT: Please Write your Mayor & Council to Support a Natural Lands Acquisition Fund ("Resolution B128"), going up for vote this week at the Union of BC Municipalities (UBCM) AGM Sept.26 to 30! The Union of BC Municipalities (UBCM) will be voting at their AGM this week on a motion asking the BC government to implement an annual provincial fund to purchase and protect endangered natural spaces on private lands using the accumulated unredeemed beverage container deposits, estimated to be worth $10 to $15 million/ year in BC (see Resolution B128, sponsored by Highlands: http://www.ubcm.ca/assets/Resolutions~and~Policy/Resolutions/2016_UBCM_Resolutions.pdf). Earlier this year the Association of Vancouver Island and Coastal Communities (AVICC), representing 53 local governments, passed the resolution, and now it's time to snowball the support from municipalities across BC to pressure the provincial government! Please WRITE an EMAIL to your mayor and council to express your support for this motion – see HERE for details! 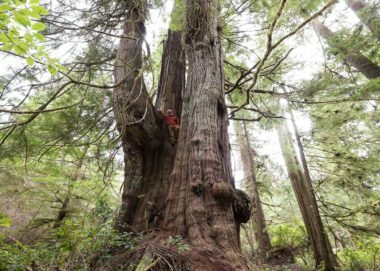 Action Alert: Speak up for Ancient Forests to the Union of BC Municipalities (UBCM)! 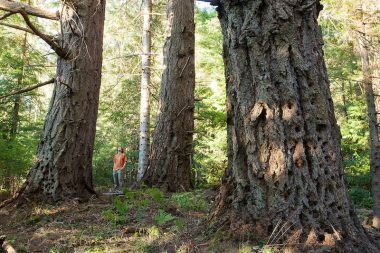 Ask the UBCM to support the protection of Vancouver Island’s old-growth forests at their upcoming AGM from Sept.26 to 30! PLEASE WRITE to Victoria City Council and Saanich Council to support resolutions for a BC Natural Lands Acquisition Fund! The Victoria City Council will be voting on Thursday and the Saanich Council on Monday on a motion asking the BC government to implement a BC Natural Lands Acquisition Fund (aka Fund for Nature's Future), a proposed, annual provincial fund to purchase and protect endangered ecosystems on private lands. The District of Highlands recently passed the resolution, and now it's time to snowball the support from various municipalities to pressure the provincial government! Please WRITE an EMAIL to Victoria Council at councillors@victoria.ca or Saanich Council at council@saanich.ca to express your support for this motion! See details HERE!